The ensemble Blutwurst was founded in Florence in 2011 by musicians involved in radical improvisation and contemporary classical music. The founding members are Marco Baldini (trumpet), Edoardo Ricci (bass clarinet, alto saxophone) and Daniela Fantechi (piano, accordion). The ensemble grew up since 2012 with Michele Lanzini (cello), Cristina Abati (viola), Luca Giorgi (electronics, percussions), Maurizio Costantini (double-bass) and Luisa Santacesaria (piano, harmonium). At the first stage Blutwurst focused on improvisation and on the study and implementation of open and graphic scores by composers such as John Cage, Christian Wolff, Morton Feldman, Cornelius Cardew, Alvin Lucier and La Monte Young, and realized sonorizations of silent and art movies. 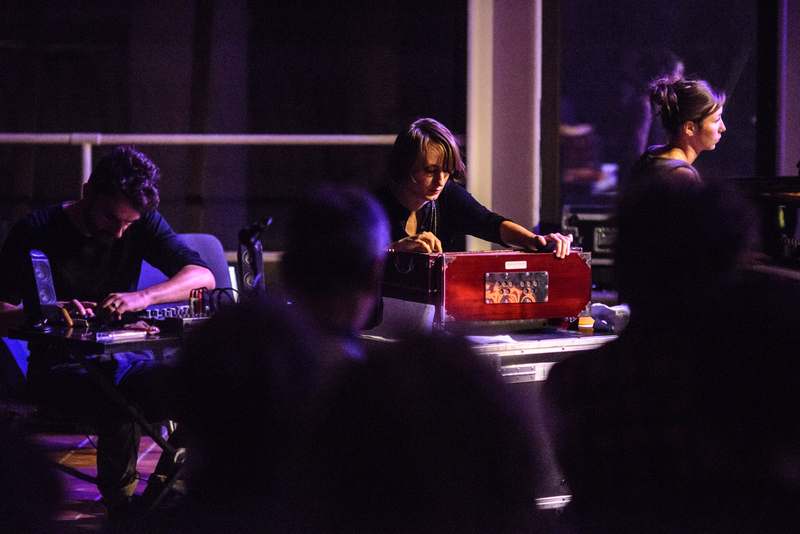 In 2013 the ensemble began to work on its own compositions with the project Yoğurt, entirely dedicated to the electro-acoustic exploration of unisons and drones. Since 2013, Blutwurst performed, among others, at Frau Frisör Fosca (Florence, 2013 and 2014), SpazioK (Prato, 2014), Tempo Reale Festival (Florence, 2015), Estate Fiesolana (Fiesole, 2016), Cafe OTO (London, 2016). In 2015 Blutwurst realized the soundscape for the essay movie Negotiating Amnesia by the London-based artist Alessandra Ferrini, in partnership with Festival dei Popoli and Murate-Centro per l’Arte Contemporanea, Florence. From September 2015 to January 2016 Blutwurst was part of the Residence Program IN_Tempo Reale. In May 2016 the ensemble released its first album Tenebrae for the Tempo Reale Collection and, in December 2016, the LP Yoğurt for the English label Negative Days.